You can use Data Table Generator to display links and hyperlinks in the table – either as clickable text or as buttons, icons or images. 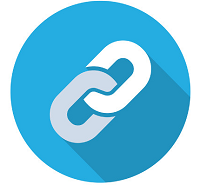 These hyperlinks can link to any URL, for example, another page on your site, an external URL or a link to download a file. You can add a hyperlink to any text-based fields that you’re displaying. If you need to add hyperlinks in Data Table you can choose one of the following hyperlink types: a link to another cell with a link, or web page link. Select a cell. This should be a cell into which you want to insert your hyperlink. url – The full URL of the link location enclosed in quotation marks, or a reference to a cell containing such a URL. Only certain link types are allowed. The second case in which you might want to use the HYPERLINK function is when the link could change. In this case, you can use a cell reference instead of writing in the URL. For example, you could use =HYPERLINK(B2, “friendly name”)This way, whenever the URL in cell B2 changes, the link will automatically update. Clicking on a cell with a link in it will take you to wherever that link is pointing. If your Excel and Google google sheets files contain hyperlinks, the formulas are taken into account when importing.